Find companies in the same industry with complimentary services, and cross promote with them. You can find a company who compliments your services well to cross promote deals or links. For example, StartitUp could cross promote with different online tool providers using their newsletters. Since StartitUp's users and those online tool providers are the same, it would benefit both parties to share users. Or, if you have something that you think another platform's users would like and appreciate, you can also ask the platform to distribute to their users. Also, it's best to ask your partners to work with CPA (cost per acquisition), so that you only pay them if your users pay you. Since he originally discovered the demand for imgur at reddit, it was natural to cater the deal for users at reddit. What happened next was that he cold emailed one of the reddit founders and asked him out to breakfast. Noah ended up buying him breakfast and got him to agree to put up a free banner ad for the imgur deal. 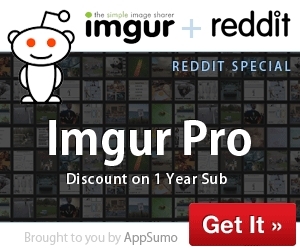 Of course, they agreed to put up the banner because imgur was of great value to reddit users. This was Appsumo's first deal ever, and it's a great example how you can use synergy to your advantage.